With Dr. Rachel Lim serving as Ardmore’s medical expert, patients can expect treatment that is tailored specifically to them, resulting in the most suitable outcome. The clinic only uses the most advanced FDA approved machines, and the latest in Korean technology, offering a wide range of treatments like laser, Botox, chemical peels and other services for the face and body. 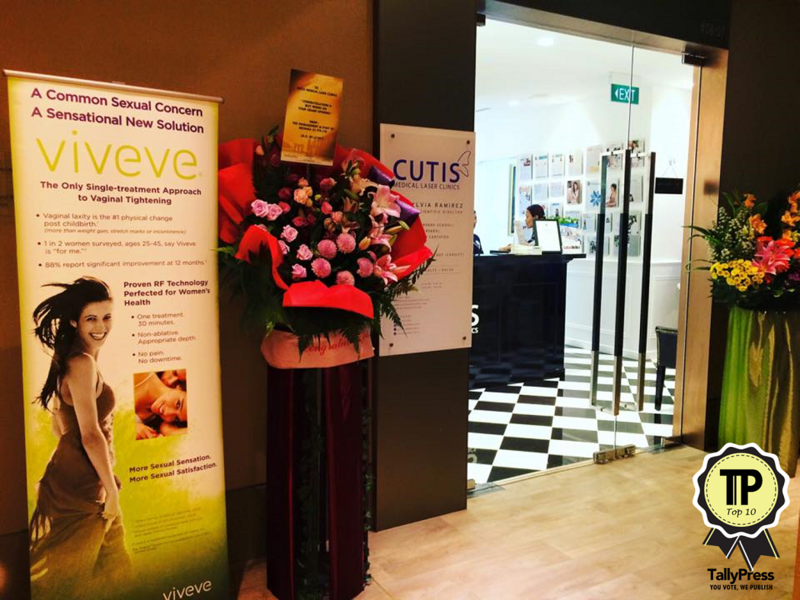 The clinic is located along Orchard Road. Dr. D Aesthetics invites you to “be your own kind of beautiful” and they want to help you with that journey. With FDA-approved treatments and technology that’s of optimum quality, they assure safe treatments. Besides this, they also have their own skin care range to support any treatments you get. Services include Venus Legacy Body Contouring, Filler Injections, Fotona 4D Face Lifts and more. 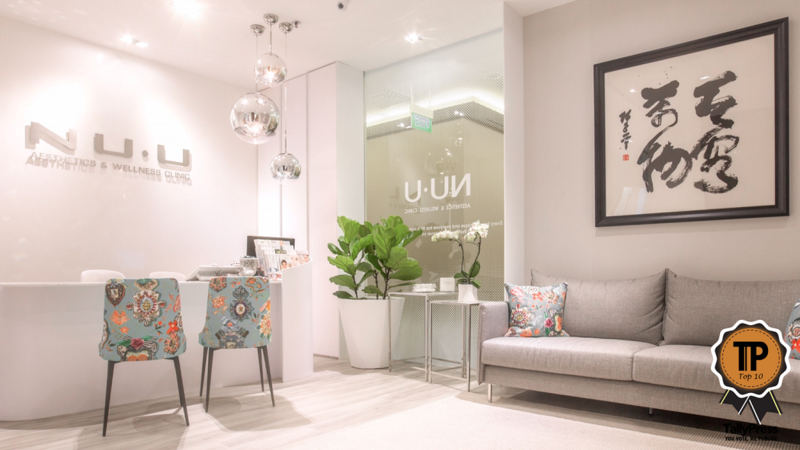 Whether your aesthetic concerns are about your body, face or skin, NU.U is able to help. Total rejuvenation is one of their goals, and they even have a weight and nutrition program for those who have concerns related to that. Besides this, treatments offered include skin restoration, augmentation, and fat reduction. 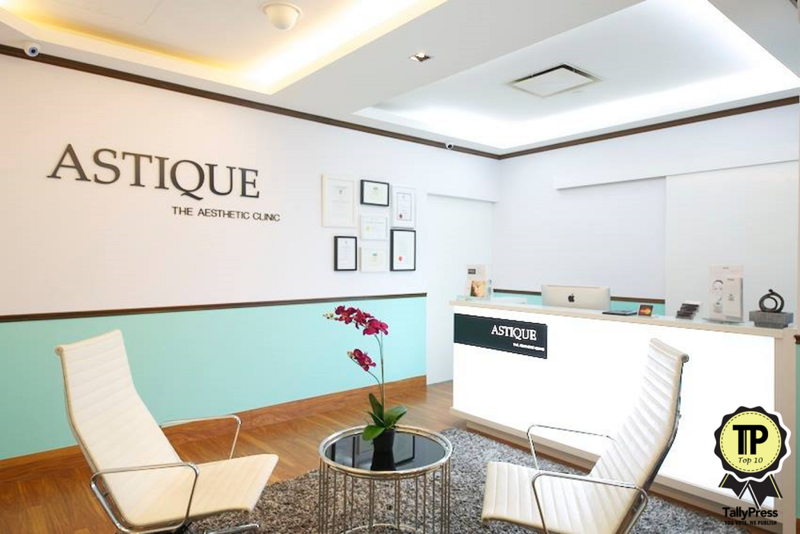 Located along Orchard Road, this clinic provides a range of FDA-approved aesthetic treatments. The clinic caters to men and women, with treatments like laser, non-surgical facelifts, facials, fillers and more. In addition, you can seek them out for hair removal or even mole removal. They also sell skincare products that supplement the treatments. Dr. Sylvia Ramirez is Medical Director of Cutis, and she has over 20 years of medical experience. Only US FDA-cleared and CE-marked treatments and products make the cut, as safety is of paramount importance. They specialize in Botox, Fillers, Cellulite Reduction, Fat Freezing and Skin Tightening, among other services offered. Other treatments include Laser/IPL, eyebag removal and hair removal. Their clinic is on Scotts Road. 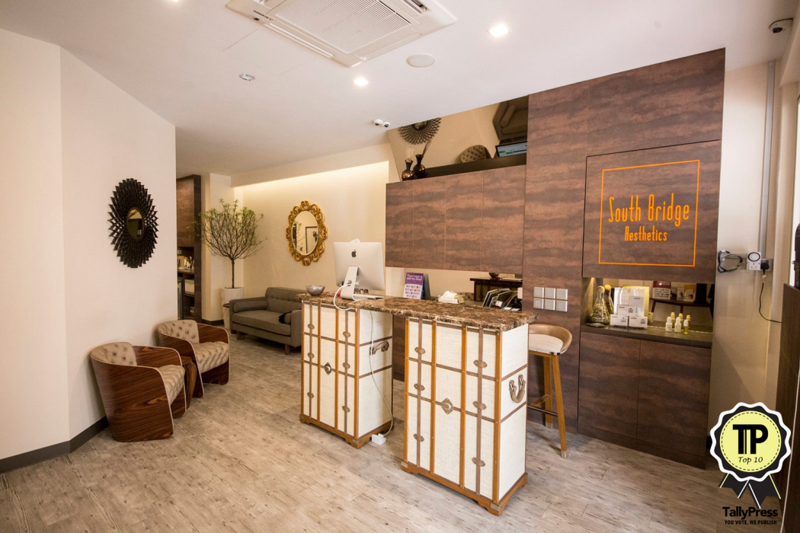 Located on South Bridge Road, South Bridge Aesthetics Clinic provides Thermage, Ulthera and laser photorejuvenation services. They promise that their treatments are affordable and non-invasive, or just minimally invasive. Other treatments include botox, fillers, laser, IPL and skin tightening. There is a wider range of treatments listed on their website as well. 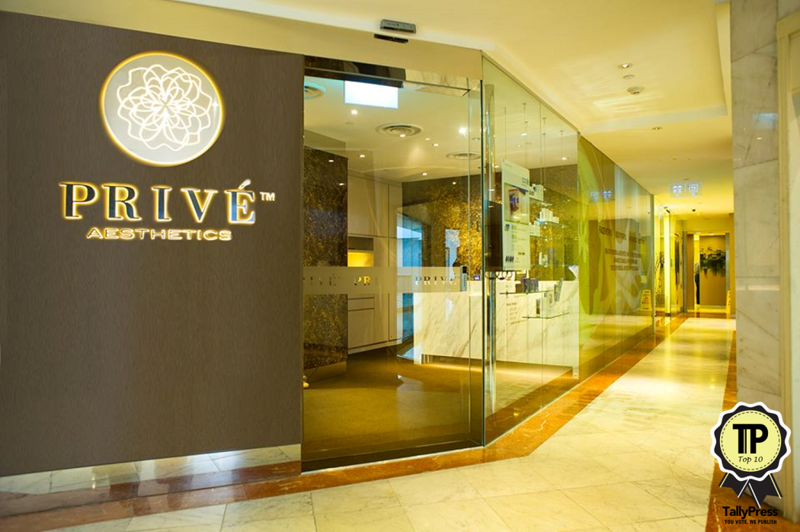 This award-winning one-stop medical aesthetics centre offers treatments for skin, face and body. Featuring a roster of trained medi-aesthetic experts and doctors, they assure safe and effective treatments. With the belief that every customer is unique and should look and feel good, they will strive to fix your aesthetic issues. Treatments target aging, pigmentation, firming and a range of other services. Known primarily for targeting issues related to hair loss, Dr Tan is an expert, having carried out hair transplants and restorations on patients. Her work and skills are approved by the Singapore Medical Council, and she’s always improving her knowledge by attending conferences internationally. Besides hair related treatments though, the clinic also targets body and skincare problems. 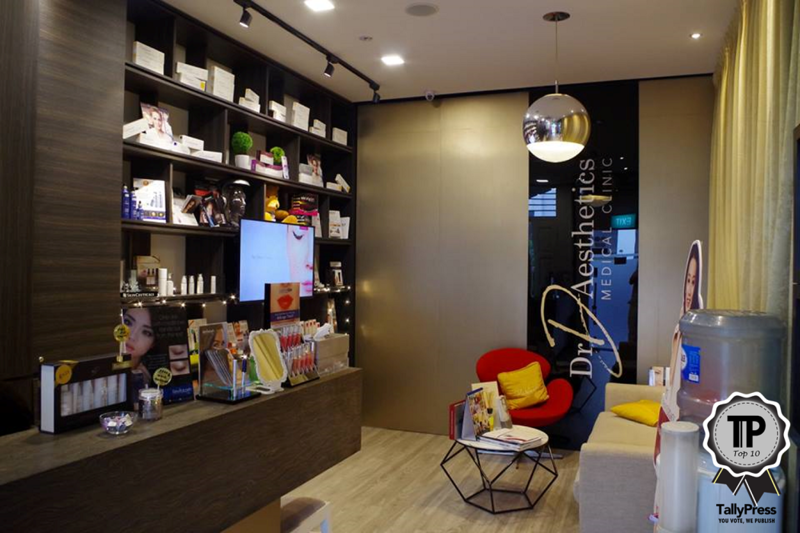 Dr David Loh and his fellow partners Dr Phoo Yi Shan and Dr Vanessa Phua, along with a team of nurses and therapists will support you to solve your aesthetic issues. Treatments there include liposuction, Ulthera, Thermage, PICO, Botox, fillers and other non-invasive medical services. They have two clinics currently – one at Wheelock Place, where Dr David spends most of his time, and another at Park House. 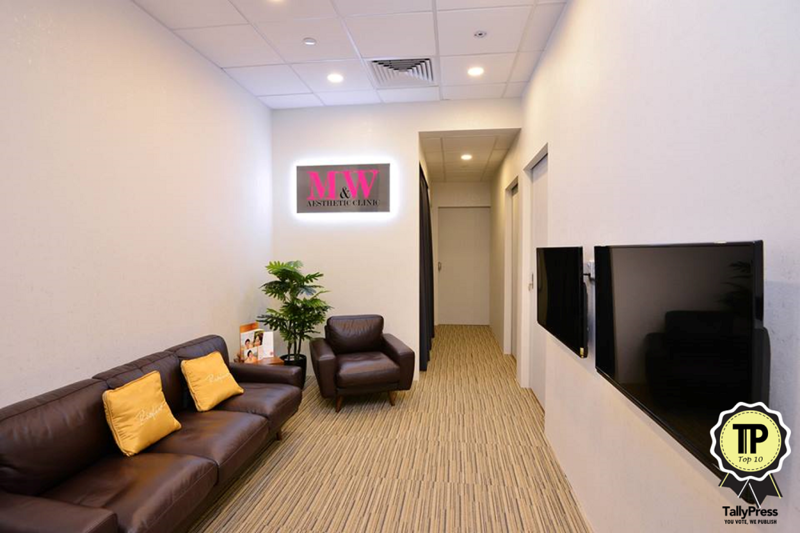 M&W was set up by a group of doctors and aesthetic veterans who wanted to make their services more accessible to the masses. The clinic emphasizes customer care, and the atmosphere is welcoming. Services include fillers, eyelid rejuvenation, facial contouring, handling sweaty palms/underarms, pigmentation and a range of other treatments.